Packing up your life and relocating to a different neighborhood, city, or even state can be a stressful endeavor. 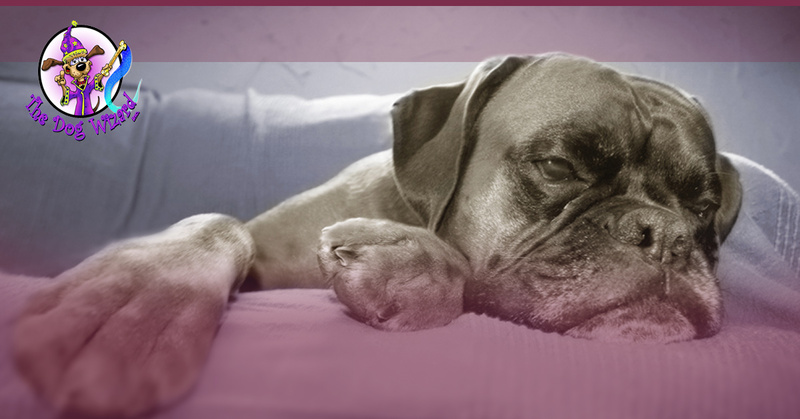 The entire process can certainly be exhausting, but for your canine, it can be much more so. While all of the humans are clued in on the plan, chances are that your dog does not understand what is happening. Today, we’ll continue last week’s blog with more moving tips for your canine. Helping you and your dog enjoy life is what we are all about at The Dog Wizard. We are proud to be Cincinnati’s dog training school of choice for many loyal clients, and we’re excited to show you what your four-legged companion can do. From aggressive dog training to agility work and more, our certified, professional dog trainers are here and ready to help! Once you have parked at your new home, it’s time to get your pooch accustomed to the area. One tactful approach is to leash up your pup and take him or her for a walk around the property. Be sure to take your furry friend into each area of the home, giving him or her ample time to scope out their surroundings. It’s often tempting to let your dog run free around the home, exploring as they please. It’s important to remember, though, that this entire experience can add up to be very stressful and overwhelming. Once your tour is completed, be sure to confine your pup to one room or in their kennel. This will be very helpful in keeping your pet from stressing while also minimizing the chances that they will get in your way. There will be a lot of moving parts in the home, creating a need to kennel the dog in order to maximize safety. Creating familiarity is the key to success for you and your canine at this stage. You can start by arranging everything in the same format as the old house. Many pet owners will take this stressful time to shower their pets in new toys and beds, but this may only add to the worry that comes with change. If the dog bed was in your room, be sure to place it there. If your pet has a treasure chest of toys in the living room, try to place this cache of goodies in the living area. Surrounding your canine with familiar goods will go far in helping them feel comfortable in their new environment. Adjusting to an entirely new landscape can be a long process for some pets. Adapting to the new smells, sounds, and sights can all combine to create anxiety while getting comfortable. The average time it takes for a dog to relax in their new setting is roughly three weeks, often worrying owners in the process. Until this occurs, your dog may appear restless, skittish, and often nervous. As the loving landlord of the pets, it falls on you to stay calm and peaceful during this adjustment period. Your dog will be looking to the humans in the household for cues on how to act and feel. If you are relaxed, your canine will be better able to do the same. After all of the boxes are emptied and you are ready to start your new life, it’s key to keep a close eye on your pets. After a major change such as this one, certain dogs will begin to act differently as a short-term response. Free roaming canines who are left alone may tear up a pillow. Dogs with expert bladder control may be marking their new territory. Is your canine being extra clingy? Is he or she refusing to eat? Does your pet cough too much now? A number of medical and emotional fields need to be checked for your pet to ensure that they are transitioning to the move ok. At this point, it’s important to be positive and encouraging without being too loving. If your dog receives an excessive amount of praise, the result can actually be more stress. Helping your dog adjust to his or her new surroundings can be a stressful endeavor, but in the long run, they should be just as happy and playful as ever. The Dog Wizard is here to provide the best obedience training for dogs in order to enable them to get more out of life. When your canine is trained to act accordingly in any situation, they will be able to spend more time with the family in the world beyond your new home. Contact us today to see how our Cincinnati dog training can help you!